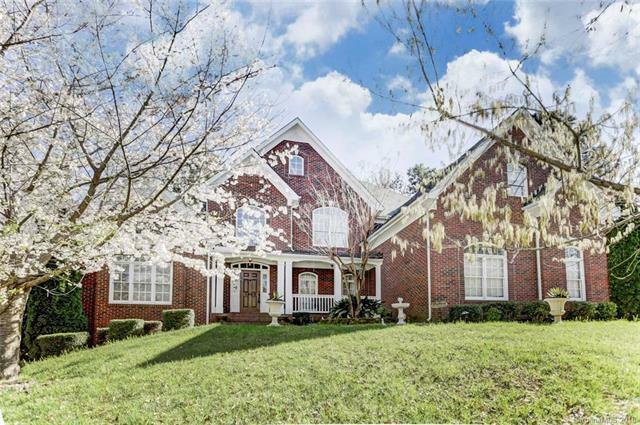 Fantastic Executive Full Brick Home in Tega Cay / Fort Mill SC. Enjoy the lifestyle of Lake Living in desirable Lake Shore subdivision. This home has it all. Wonderfully maintained, designer upgrades throughout. Expansive space with a formal living space, dining room, private office with french doors and huge family room. Extensive crown molding throughout. Wonderfully maintained home with designer upgrades throughout kitchen with large island, double oven, 42 inch cherry cabinets and tons of storage space. Two story great room with fireplace/gas logs. Master on main has two walk-in closets. Three bedrooms upstairs along with a large bonus room / flex space. Great outdoor living space with expansive private patio. Three car garage with expanded paved parking in drive way. Sold by Highgarden Real Estate.